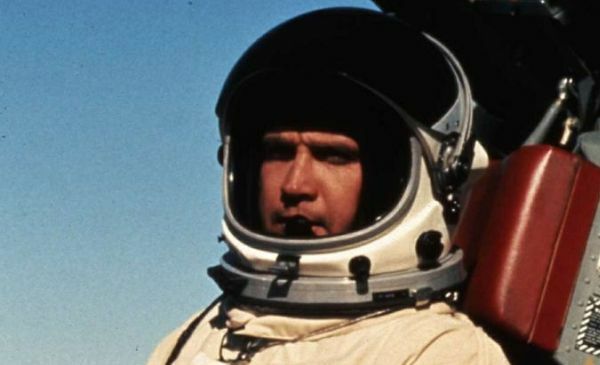 In 1973 Colonel Steve Austin was an astronaut who suffered severe injuries in the crash of an experimental spacecraft he was piloting for NASA. Arriving in the trauma center on the brink of death, doctors believed they had a chance of saving him, but only if they performed a series of radical surgeries never attempted before. Using unproven technology that had never been tested on humans. The plan that emerged was desperate, hurried and well ahead of its time. They would rebuild him, replacing his right arm, both legs and left eye with bionic implants. Natural would meet artificial. New would merge with old. If successful, the transformation would save one life and push medical science beyond its known limits. Could it work? They had to try. For many hours the Colonel’s fate swayed from the edges of life to death and back again. Uncertainty was the only constant. Then, at dawn of the third day they had the answer. In near disbelief, the weary team of doctors witnessed medicine’s miraculous leap forward. Steve Austin would not only survive, he would become the world’s first bionic man. Possessing new abilities that far surpassed human norms. He was better than he was before. Better, stronger…faster. Dramatic transformation on the hit television series The Six Million Dollar Man was never intended to serve the modern marketer or make a marketing point. Until now. Often, radical events are required to push us into the mandate of change. Change as we know is not popular and few embrace it easily as the grasp of the familiar is just too tight. Even as disruptive marketing forces loom. Unlike Steve Austin’s fictional circumstances, the change required of brands today is very real. It is all around us and at odds with many comfort zones. Brands must become better, stronger…faster to earn a place in the future. Courage, commitment and strong leadership are needed to navigate the uncertainty of change. The following six insights will help you succeed in what can be a very dramatic journey…even one against all odds. The first step for a change leader is to free up resources that are committed to maintaining things that no longer contribute to performance and no longer produce results. Maintaining yesterday is always difficult and extremely time-consuming. Maintaining yesterday always commits the institution’s scarcest and most valuable resources–and above all, its ablest people–to nonresults. Yet doing anything differently–let alone innovating–always creates unexpected difficulties. It demands leadership by people of high and proven ability. And if those people are committed to maintaining yesterday, they are simply not available to create tomorrow. What holds brands back from innovation and market leadership is the same element that holds people back: FEAR! As a species, we humans fear change. We can’t help our natural inclination for safety and security. It’s wired into the lizard brain at the base of the skull. We fear taking risks, making mistakes, not meeting plan, looking stupid. It’s far better to fit in, go with the flow, be safe and not freak out our fear-based bosses. Marketers struggle sometimes to pace brands to the speeds of consumers. There’s a tendency to believe that everything must change, change, change – and that brands that aren’t always adding or shifting will lose attention. All the talk of innovation and customer impatience fuels that. The reality is something different. Buyers need brands to be familiar and interesting, not one or the other. No business these days can just sit pretty. But the extent and nature of changes confuses many. Brands evolve. Or die. But they must also retain something of what consumers know. Or they fade. So which is more important? And how should a brand act, when? So often it seems to me brand owners hope to bring about change rather than planning to bring about change. They see persuasion as an awareness issue rather than as a behavioral issue – often because they regard their product as the obvious choice that somehow, miraculously will spark a “road to Damascus” moment as soon as consumers encounter it. Around 70% of large-scale change programs fail to meet their goals – and a key reason for that, according to Gary Hamel and Michele Zanini, is that organizations cannot resist managing the implementation of change rather than looking for ways to psychologically and systematically embed it. In effect, the authors suggest, most change programs are too late, too self-serving, too autocratic and too engineered to succeed. The term “maintaining yesterday” certainly got my attention. We do, sadly, all spend a lot of time on things that no longer matter. What we should be maintaining is *relevance,* while staying true to our values and solving our customers’ problems, which, presumably, made our brands successful in the first place.